Did you wake up and realize tomorrow is Valentine’s day? Is your special someone expecting a thoughtful, considerate gift and you haven’t given it any thought or consideration until the last minute? Then come on down to the Maker Hub for our “Last Minute Thoughtful Gifts” workshop. 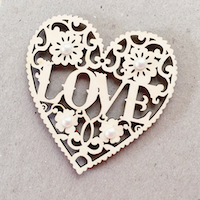 We’ll be using the laser cutter to engrave your pictures onto heart-shaped coasters, using the digital embroidery machine to write tender messages of warm feelings onto heart-shaped pillows, and other quick-and-easy projects to have your sweetheart swooning. We’ll also have lots of crafting supplies on hand for other ideas we come up with. Participants should bring some nice images for laser-cutting, and/or ideas for text they’d like to embroider. As appropriate for the workshop theme, we prefer you RSVP, but last-minute drop-ins are OK. Note: Close-toed shoes must be worn in the Maker Hub. Please see the Safety Page for all Maker Hub rules.